TORRANCE — South Bay Ballet’s production of “The Nutcracker” is a world-class Christmas tradition that is perfect for the entire family. Grandmother Clara tells the story of a young girl whose Christmas Eve dream of becoming a ballerina takes her on exciting adventures with her Nutcracker Prince, meeting many enchanting characters in the land of ice and snow and the kingdom of the sweets. Soon, it’s time for Clara to return home back to where she first fell asleep. 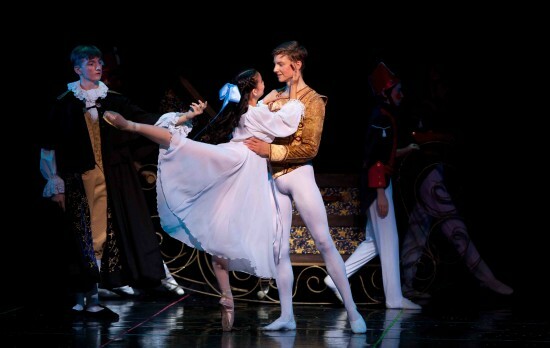 Her magical dream ends and Drosselmeyer is the only one who knows what happened to Clara and her Nutcracker Prince. Because it always was a fantasy all along. Each year, Artistic Director Diane Lauridsen invites a notable community member to play the role of Grandmother Clara, a character exclusive to South Bay Ballet’s choreography. This year, Betty Lieu, wife of State Senator and Congressmember-elect Ted Lieu, makes her second guest appearance as Grandmother Clara. Marsee Auditorium, El Camino College Center for the Performing Arts, 16007 Crenshaw Blvd. in Torrance. Tickets are $30 general, $20 for children 12 and under. For more information, call (310) 329-5345 or visit www.southbayballet.org.